By the way, one quick reminder, make sure you stay until the end of the article for Celluloid Cinema’s recap of the film industry in 2015. Now that introductions are out of the way, let’s find out who the winner’s of each category will be. If there was a second place winner for Best Actress in a Supporting Role Alicia Vikander would win that as well as the Golden Reel for her role in Ex Machina. Earlier in the year when Ex Machina came out it seemed impossible that anyone would be able to upstage her performance as she convinced audiences that maybe robots were more human than humans. However, as the end of the year drew near, her true greatest performance was seen in The Danish Girl. Throughout the course of the film her character Gerda went from likeable, to hated, and back again at the flip of the switch without question from the audience because Vikander was able to emote at every end of the spectrum. 2015 will only mark the start of Vikander’s long career of one of Hollywood’s elite actresses. Like Vikander, this actor also had his break out year in 2015 and was also in Ex Machina. Those of you that know your films know that this means Oscar Isaac has won the Golden Reel for his performance in Ex Machina. This award season many will overlook his performance in Ex Machina due to some of the heavy hitters that came out more recently. Isaac was truly able to bring to personify his character and as a result create a villain, which as an audience member, terrified me every time that he was on screen (or off for that matter). Isaac found the perfect balance needed in order to portray to the audience that the character of Nathan was just as intelligent as he was psychotic and that through both he will do anything to succeed. With his acting abilities and role in the upcoming Star Wars films, it will not be long before Oscar Isaac is a household name. Visually, this year in film was absolutely stunning, from The Hateful Eight’s glorious use of 70mm to Mad Max’s vibrant color pallet. However, even though Roger Deakins deserves to be the best in his field for at least one year, I have to give the Golden Reel for Cinematography to Emmanuel Lubezki for The Revenant. While I have talked about at length my issues with the Revenant, the only thing I could not even possibly think to critique is the cinematography. The lush landscapes that Lubezski was able to capture using only natural light are not even fully appreciated in the film due to being overshadowed by the long takes Lubezski was able to craft. At this point one is left to question where is the ceiling for Lubezski’s work? While a lot of the films this year with lead females were written very well, the film’s themselves often overshadowed the performances by the actresses, as a result this was the hardest category to determine a winner in. 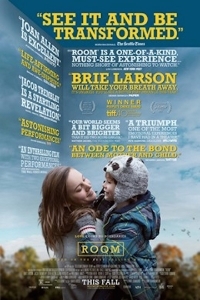 Nonetheless, after careful consideration, Brie Larson wins this year’s Golden Reel for Actress in a Leading Role for her performance in Room. While a strong argument could be made for several others in this category Larson is the most deserving due to depth in which she was able to portray her character. Larson’s character for a majority of the film is completely devoid of any joy in life, which is a difficult state to portray someone in yet; Larson is believable in every moment, as she truly understands the mindset of her character. This year the Actor in a Leading role category is probably the most talked about due to the outcry of people for Leonardo Dicaprio to finally be crowned the top actor for the year. Unfortunately, while I am definitely a huge fan of DiCaprio’s work, his performance was not enough to warrant a Golden Reel. Instead, this years Golden Reel for Best Actor in a Leading Role goes to Eddie Redmayne for TheDanish Girl. Redmayne was not only able to nail the mannerisms of both sexes, but he was also able to make the audience understand the internal struggle his character faced. 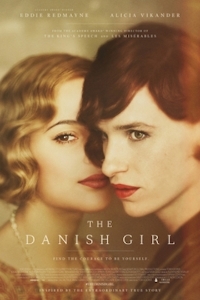 The Danish Girl tackles a controversial and delicate topic and if it was not for Redmayne’s perfect performance the film would have fell flat on its face. Each year it seems like more and more films are being adapted instead of being based on original ideas. As a result, this last year there were quite a lot of films to consider for the Adapted Screenplay category. However, if one looks at just the screenplay itself instead of the overall result that is the film, it becomes quite evident that the writers of The Big Short, Charles Randolph and Adam McKay, deserve this year’s Golden Reel for Best Adapted screenplay. In order for the story Randolph and McKay were adapting to work they needed to find a way to actually teach the audience economics during the course of the film. In order to do so the writers injected the story with a unique fourth wall-breaking device that helped explain complex ideas to the common viewer. 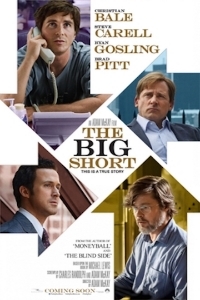 By overcoming this obstacle in a way that still lead to the film being entertaining as well as knowledgeable, it is clear as to why The Big Short is the Best Adapted Screenplay winner. The Best Original Screenplay category is my favorite of the Celluloid Cinema Awards because, as I talk about in nearly every article on the site, writing is so important to a film’s success and the most organic writing comes from original writing. With that being said, year after year, the overall quality of the category drops due to Hollywood’s devotion to making adaptations and sequels. Fortunately, while this year’s adapted screenplays were a bit weak, we were treated the thrilling science-fiction piece that is Alex Garland’s Ex Machina and winner of this year’s Golden Reel for Best Original Screenplay. Ex Machina is such an engaging story because of the questions that it makes the audience ask about our own society. In a world that is constantly moving forward in technology, Ex Machina makes us start to consider the repercussions that may come with this advancement and the dangers that our creations or us ourselves may create. The Best Director category has caused the most internal debate out of any of the categories. At one point I felt there was no way Ryan Coogler could not deserve it after the fight scene he crafted in Creed, which was my favorite cinematic moment of the year. Then later in the year I understood it would have to go to Alejandro González Iñárritu for the undertaking that was The Revenant. Although, after taking a final look back at the year and putting everything into perspective, the true person that deserved this year’s Golden Reel for directing was George Miller for Mad Max: Fury Road. Miller was not only able to create a living, breathing world but he was able to actually show it the way he wanted by seamlessly merging real world models with visual effects. While that alone is difficult to do, he also found how to visually tell a two-hour story using nearly no dialogue. This late into Miller’s life, it really is incredible that he was able to pull together a film of this magnitude. Miller’s efforts with the film are going to be something the filmmaking community discusses for years to come. It is now time for the biggest award of the year so I will not keep you all waiting any longer. The winner of the Golden Reel for Celluloid Cinema’s Picture of the Year is Spotlight. Throughout the year there were many films that were the front-runner for the category but it was not until two weeks ago that I truly had a clear favorite for the category. Many films were quite entertaining and well put together quite well but at the end of the day many either still had their faults or they were not impactful enough to change the audience’s view of the world. However, Spotlight uses all of the cinematic elements of film to reinforce its themes and create a lasting impression on the viewer that actually makes one change their viewpoint of the real world. Because Spotlight is able to demonstrate the power of Cinema and use it to its fullest it deserves to be Celluloid Cinema’s Picture of the Year. In 2015, film continued to be dominated by sequels and reboots while the original ideas were a glimmer far and few between. While it may be fun to go see the next big super hero blockbuster (do not get me wrong I like them too) we must be careful to make sure we let studios know our interests expand beyond that. When we look back at some of the greatest films of previous decades most of them are original ideas that introduced us to new worlds and characters. If we keep presenting studios with the idea that we are content with old properties then we might not ever be treated to originality again. It will be interesting to see what next year brings for Cinema, as each year it is more evident that the real storytelling is shifting to television and away from the silver screen. But then again maybe film was never the proper medium to actually tell original stand-alone stories. After all can anyone’s life story be told in two hours?